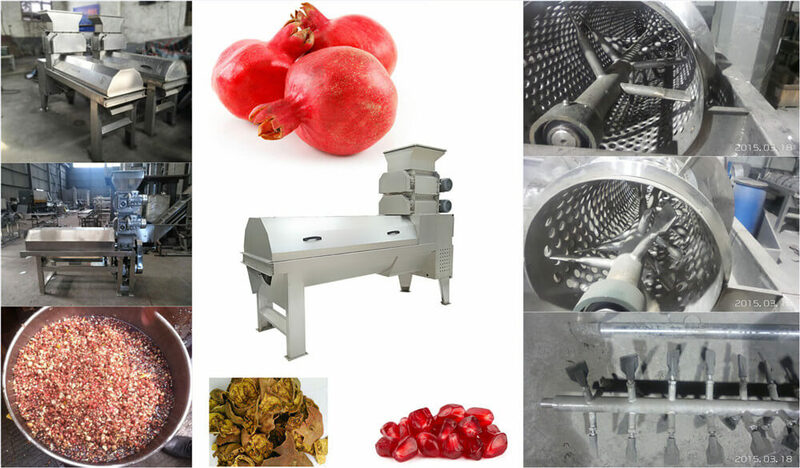 This machine can be used for kinds of fruits peeling and crushing process, especially for pomegranates and grapes and it is an ideal equipment for pomegranate drinks and wine pre-process. This machine completes pomegranate seed and peels by using the breaking device. This machine mainly consists of feeding hopper, upper crushing device, lower crushing device, rotation sieve, stirring shaft, screw pump and the frame, etc. Except for the transmission part, this machine is fully made of stainless steel, and its stirring shaft is frequency control. Pomegranates to be processed enter the upper crushing device through the feeding hopper, and the upper crushing device parts pomegranates (the space between the 2 rollers is 20mm); then the parted pomegranates enter the below crushing device and they will get the second crushing (the space between the 2 rollers is 10mm); after 2 times of crushing, pomegranates are mostly seed-peel separated and they will drop into the separating device; with the working of stirring shaft, the seeds come out from the sieve holes and the peel are discharged from the afterbody. 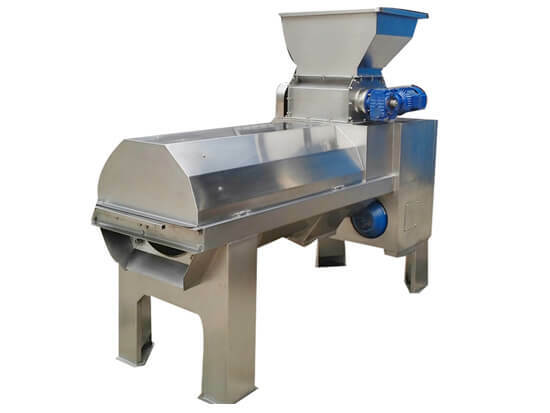 The upper and lower crushing roller have the flexible design of adjustable space between them, and the seed and juice are transferred to squeezer by the screw pump.